India is emerging as a world class VLSI/Embedded systems & Telecom hub. Electronics and Communication engineers of a high caliber. Students with added specialization can get jobs in government organizations like MTNL, BSNL, Civil Aviation, NPL, AIR, Posts and Telegraph Department, Railways, Bharat Electronics Limited and DRDO, among many others. There are many private companies in India which offer excellent career opportunities for graduates from B.Tech in Electronics and Communications. Communication, media and entertainment industry is the biggest employer for electronics and communication engineers. In India, the media industry and communication sector hasgrown rapidly after privatization and there are many private firms including some multi national giants like Vodafone, Airtel, Sony Ericsson, Idea Cellular N/W, Star network etc who provide good career opportunities for electronics and communication engineering graduates. The department has specializations in all the relevant electronics and Communication Engineering domains with special focus upon following domains. The alumni of department are placed in leading organizations holding prestigious positions. Multiple have opted to continue and enroll for master’s program and develop special knowledge domains. The department has special focus on research work and producing relevant research outcomes. Department has state of an art laboratories including Communication Lab. Antenna and microwave Lab, VLSI Lab, Microelectronics Lab, Basic electrical engineering Lab equipped with hardware and software meeting the latest curriculum of MDU Rohtak. Modern devices and gadgets including spectrum analyzers, DSOs LAN Trainers make the institute a primer in the vicinity of North India. We also have a separate computer centre and VLSI lab equipped with over 30 computers having latest configurations. Software tools including Mat lab, VLSI Lab, Micro processor lab, Embedded labs, robotics labs etc support the labs in simulation and layout design of hardware. Regular updates of lab experiments. Improvement in Leaching methodology using various A/V aids including LCD Multimedia display, OHP, Digital note Pad etc. Industrial and experts regular visit, Lectures from eminent guest faculties etc. is an integral part of the institution. Ms. Swati Gaur is a conscientious professional with established technical abilities having around 1 year of experience in industry and 06 years of experience in teaching, research and administration. 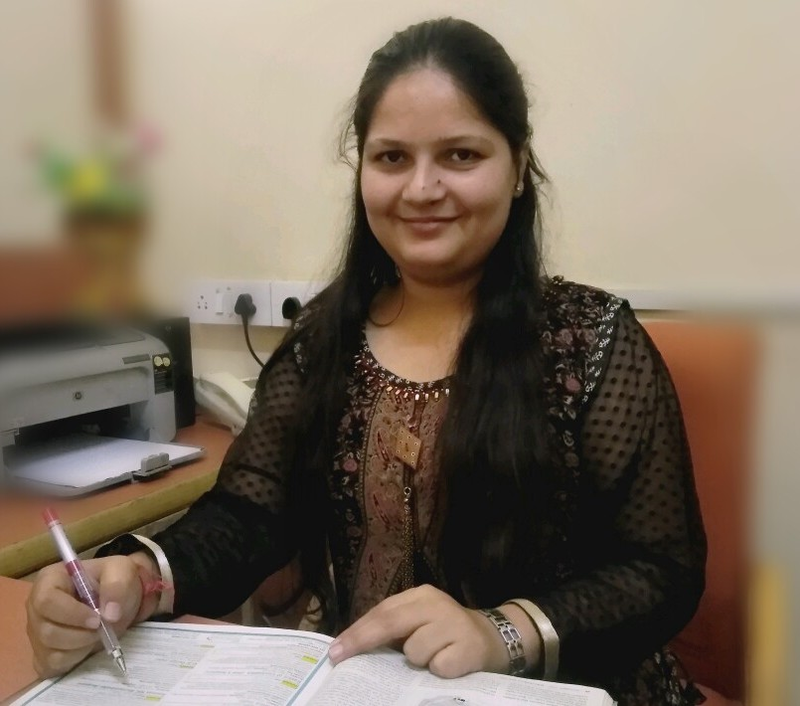 She has obtained B.Tech from Manav Rachna College of Engineering, Faridabad in Electronics and Communication Engineering and M.Tech from YMCA University of Science & Technology, Faridabad. Her area of interest includes Analog Electronics, Digital Electronics and Artificial Intelligence. She has 16 research papers in International Journals, 6 National and International conferences/ seminars in her credit. She has guided 08 M.Tech students for their research projects and dissertation. She has life membership of Indian Science Congress Association and People for Animals. She is a President of National Welfare Association for Girls. She has got 3rd university rank in overall B.tech and 4th rank in M.tech. She has qualified GATE and also won many academic and cultural awards.